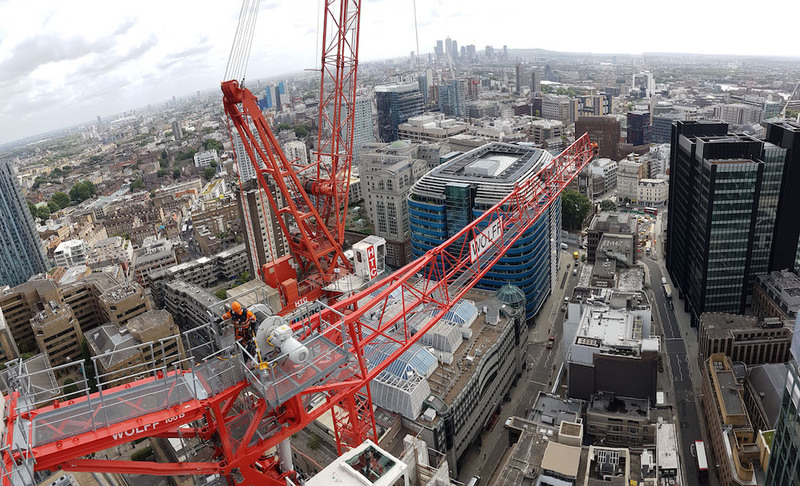 The anti-collision system manufacturer AMCS Technologies recently installed its flagship product DSC60 for the construction of the 70 St Mary’s Axe project, a commercial office building in the heart of London. Fitted in three Wolffkran cranes Wolff 224B, 180B and 166B, the system is highly appreciated for its characteristics, in particular its real time and 3D functioning and its quick execution and display on screen. Indeed, the Senior Sales Manager at HTC Wolffkran Julian Dyer has been « impressed with the features » of the system, and the Lifting Operations Manager at Mace Group stated it « allowed the crane operator to work closer to the opposite crane and did not interfere with the operations of lifting ». Nicknamed « The Can of Ham », the skyscraper should be ended in December 2018 and will house 28 000 square meters of premium office space set over 21 floors, with three additional basement levels.